Whenever the BMW 3 Series gets redesigned, it makes a convincing statement about its class-leading aims. The 3 Series moniker has always been important for BMW due to some obvious reasons. 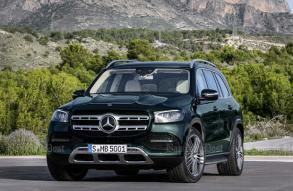 First, it forms as the entry-level saloon for the Munich-based luxury brand on a global basis. True, there’s the four-door 1 Series, but it’s still confined to the lucrative Chinese car market. Another reason is its longevity. 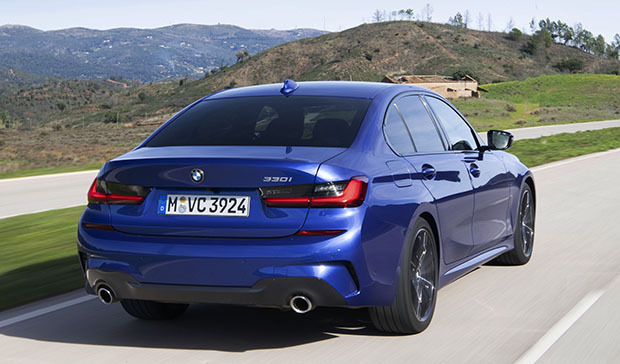 The 3 Series has been made continually for over four decades and makes the Audi A4, Lexus IS, Mercedes-Benz C-Class and Volvo S60 nameplates like new kids on the block. More crucial is the way the 3 Series has always driven. By being rear-wheel drive ever since its inception in 1975, this particular Bimmer has long been considered the “definite” saloon in its class when it comes to driving dynamics. In fact, whenever it gets completely redesigned, it easily shoots to the top of the class for being both likeable and usable. 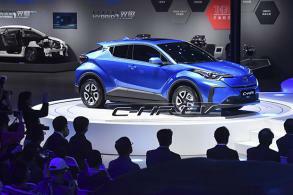 But the challenge for the seventh-generation model, tested here for the first time before going on sale in Thailand next March, is more than just the sake of competition. After all, the predecessor is still a competitive player. BMW freely admits that it’s not just about making it the class-leader again but how to cope with buyers shifting away to SUVs like the X3 and X1. And if you add a Thai perspective to this, the attractively priced and generously sized Honda Accord and Toyota Camry have also been waning all premium badges for quite some time already. So first and foremost, BMW has enlarged the 3 Series in all dimensions. 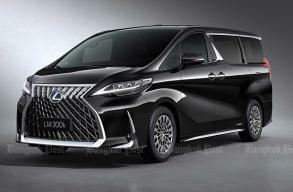 The 2,851mm wheelbase, in particular, is 41mm longer than ever and helps for better interior room.This improvement can be seen in the rear where occupants are treated with good legroom. For the first time, the 3 Series inherits the three-way folding rear backrests usually seen in only BMW’s estates, hatchbacks and SUVs. Apart from being roomy, this package is also versatile by standards of saloons. The seats themselves are large but slightly lacking in lateral support. 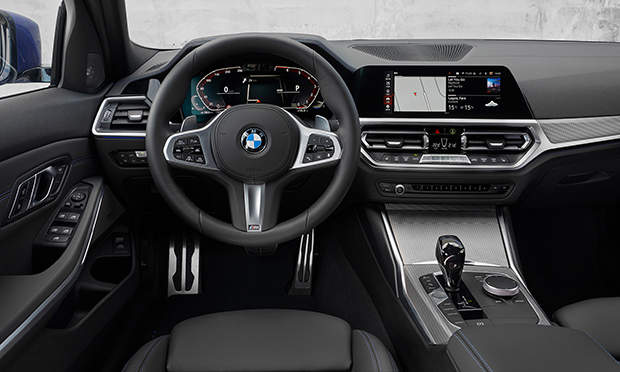 They’re better up front, where the driver will find a tidier cockpit design already applied in the latest X5 SUV and Z4 roadster. The 3 Series is the first BMW to get the so-called Personal Assistance (similar to Mercedes’ MBUX tech) whereby the driver can talk to the car via artificial intelligence. It’s quite an effective feature and is likely to come on Thai-spec cars along with electronic entry using a smartphone (thus making the physical key redundant). While the interior strikes a nice balance between aesthetics and function, the exterior can be a little controversial in appearance. Anyone who has an interest in European cars will find the jagged headlight design of the 3 Series similar to those used in some Audis and Peugeots, although we’re not necessarily implying than BMW has ran out of ideas. Elsewhere, though, the proportions of the 3 Series feel athletic especially in M Sport outfit as seen in these pictures here. The 19-inch wheels look great and the wider stance is courtesy of increased tracks on both the front and rear. Which immediately brings us to the usual highlight of the 3 Series. With a larger footprint, this Bimmer feels convincingly planted to the road at all times. Special thanks also go the optional Sport suspension fitted to all test cars at the launch event in Portugal recently. Although it’s still early days, the standard setup for Thailand should prove more than enough. BMW is keen to point out about its new shock absorber technology claimed to reduce body movements as much as possible over surface irregularities. And yes, its effectiveness was quite noticeable on some rough roads in the Portuguese countryside. Another improvement felt was a quieter cabin thanks largely to better-insulating front windshield and door windows. Oh, and those large side-view mirrors can always be noticed when taking the wheel of the 3 Series. But it’s still an agile car to drive belying its larger dimensions quite well. Despite being bigger in size than before, the 3 Series is some 55kg lighter than its predecessor and utilises a stiffer body, as well. The steering is a little indirect at low speeds, but instantly feels precise and well-weighted at higher speeds and when tackling some mountain roads. There’s the usual drive selector that can also make the rack heavier, although that seems unnecessary even under enthusiastic driving. Speaking about this, the buttons for this mode aren’t that ideally located next to the gear lever because you always have to take your eyes off the road when operating it. But kudos for the electronic head-up display which has improved both visually and functionally. 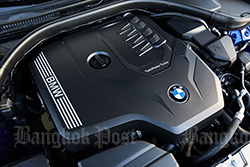 There were two engine variances for the 3 Series to sample: the 320d diesel and 330i petrol whose four-cylinder engines have been updated with new ECU and fuel injection to improve efficiency and cope with new WLTP global emission standards. The ZF eight-speed automatic fitted to both versions may seem like a long-serving stalwart for BMWs, but it’s still relevant in delivering smooth and reasonably quick gear shifts. It’s especially a nice match in the free-revving and well-muted 330i whose power has been upgraded from 252hp to 258hp. The 330i in M Sport guise should be a nice launch model for the 3 Series in Thailand before giving way to the higher-selling 320d. 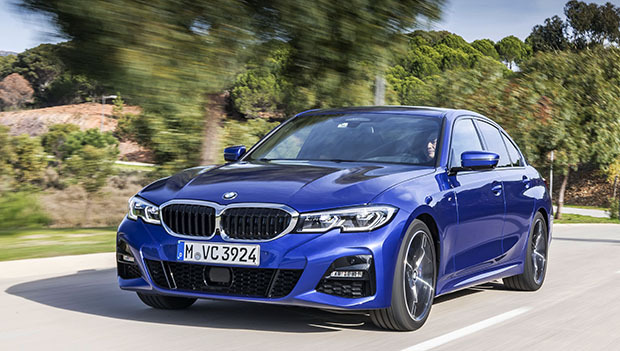 Although its power is still rated at 190hp, the 320d is said to be around 20% more fuel-efficient and still offers plenty of usable grunt in real-world driving. 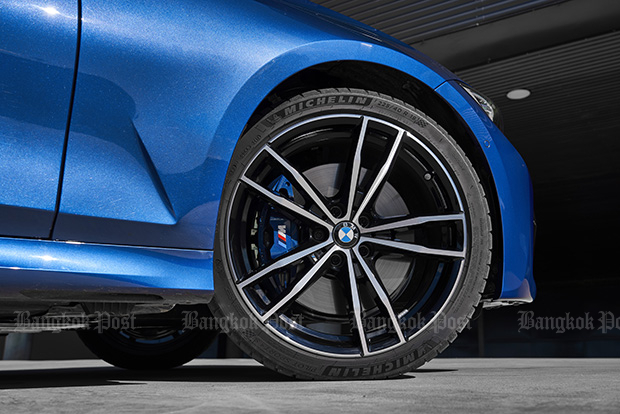 Although there wasn’t the chance to drive one yet, the 330e will be another crucial variant for the Thai market because its plug-in hybrid system, along with an improved battery for longer electric-only driving, can attract just 4% of excise tax at under three million baht. Lots of features (and some new driver-assist tech, we hear) are coming in the 330e. However, expect the 330e to come on stream a couple of months after the 330i and 320d. 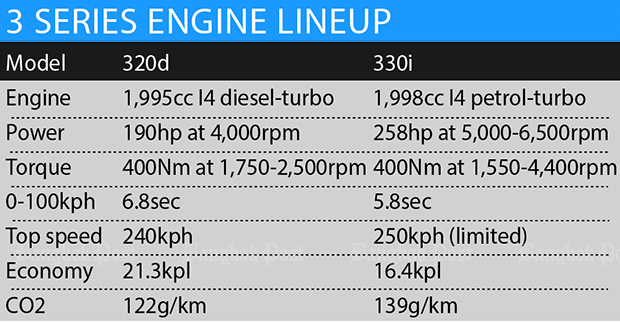 In whichever form, the 3 Series has managed to once again distance itself away dynamically from its direct competition. And yes, none of those Japanese mid-sized cars are as good to drive. Having said all that, the 3 Series still leads to the class when it comes to the driving bit accompanied by a spacious and comfortable cabin. Of course, SUVs customers may not be coming back to saloons, but the 3 Series does make a convincing statement for those who still value a fine driving experience in a car with utility for the family.